Whether you’re a construction company that caters to general trade stores or a small business owner, Quote Texas has the right insurance plan for you. Quote Texas offers customized policies that fit the needs of various industries, so you can get the best coverage that fits your budget or limit. At Quote Texas, we make it a point to provide the appropriate policies that protect businesses and industries from unforeseen circumstances. If you’re looking for a reliable insurance provider that offers comprehensive and extensive policies, look no further than Quote Texas. 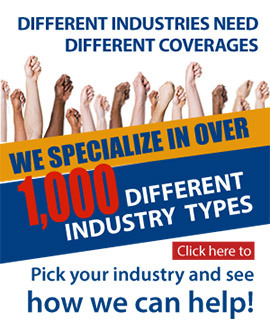 We’ve been providing insurance for various industries in Texas since 2011. To prevent your business from losing to financial burdens, contact Quote Texas, so we can fortify your building cleaning business with the right insurance policies. If you’re looking for an insurance provider to help you create a plan, contact Quote Texas today and let’s get started. We provide insurance policies that cater to the unique needs of various industries. Keep your company’s future secure with the right insurance policies that are tailored to your industry’s needs. Contact Quote Texas today if you’re looking for a reliable insurance provider in Texas. Contact Quote Texas today so that we can help you reduce the risks and damage your church can encounter from unwanted scenarios. If you’re looking for an insurance provider that offers comprehensive liability insurance for your propane gas business in Texas, contact Quote Texas today. Contact Quote Texas today, so we can equip your farm with a professional liability insurance.